When you need a check-up, make an appointment with your doctor. When your exercise equipment needs a check-up or repair, call on the Treadmill Doctor. We are an online fitness equipment company specializing in quality fitness repair parts and accessories, top of the line customer service and dependable, fair product reviews for treadmill and elliptical customers. Whether you are looking for a replacement console for your elliptical trainer or you need to find new treadmill rollers, Treadmill Doctor has a product to meet your needs. We offer high-quality products at an affordable price and arrange technical support from start to finish. In addition, we have an online forum open to consumers to ask questions and hear directly from the Doctor. Let Treadmill Doctor know what you need so we can diagnosis the problem and prescribe a solution. Should you need to repair your fitness equipment, Treadmill Doctor offers parts for many name-brand treadmills and elliptical trainers. Browse our wide selection of treadmill and elliptical parts for brands like NordicTrack, Gold’s Gym, Weslo, Proform, Precor, Sole, Cybex, True Fitness and more. If you don't find the part you need on our website, we can order it for you. We offer a variety of accessories for your fitness equipment. Our treadmill mats provide the proper foundation for your elliptical or treadmill and protect your floor. All our mats provide stability and traction for your fitness equipment, as well as protect the sensitive mechanisms of elliptical machines and treadmills from harmful carpet fibers and dust. In addition to mats, Treadmill Doctor has a variety of other important accessories for your fitness machines. Safety keys for the treadmill are easily lost, so we have replacement treadmill keys available. Other accessories offered include: heart rate sensors, waterproof headphones, push up bars, resistance bands, levelers, transportation wheels, replacement pedals for your elliptical, recumbent bike seats, cooling fans, speed sensors, reading racks, tablet holders and gym chalk blocks. Your fitness equipment will last longer if you care for it properly. For example, treadmill belts need to be lubricated and elliptical components need to be cleaned with compressed air. Treadmill Doctor offers treadmill belt lubricant specially designed for different treadmill brands, including Proform, NordicTrack, Sole, Weslo, Bowflex and others. You can find treadmill lube in our "Lubricants & Cleaners" section, along with other essential maintenance products. Treadmill Doctor even offers a complete "Care Kit" for treadmills and ellipticals, with care pamphlets sharing the best ways to clean and care for your fitness equipment. Following the guidance offered by Treadmill Doctor will extend the life of your treadmill or elliptical trainer and make your machine run more smoothly. All the major components of your fitness equipment are available on our website, from motors and belts to wheels and treadmill keys. However, if you can't find what you're looking for, we can track down any part you need. Our customer service representatives are eager to assist you with your request via e-mail or by phone. At Treadmill Doctor, we know that replacement parts can be difficult to install. Therefore, we offer thorough troubleshooting and installation instructions and videos for our customers. If you are trying to repair your treadmill or elliptical repair by yourself, we want you to have everything that you will need to do the job properly. When you're a Treadmill Doctor customer, you're not alone in your elliptical or treadmill repair. You can contact our customer service staff with any questions you have as you work through your repair project. We have an online representative ready to chat with you from your computer. Treadmill Doctor will help you repair fitness equipment and keep it healthy. 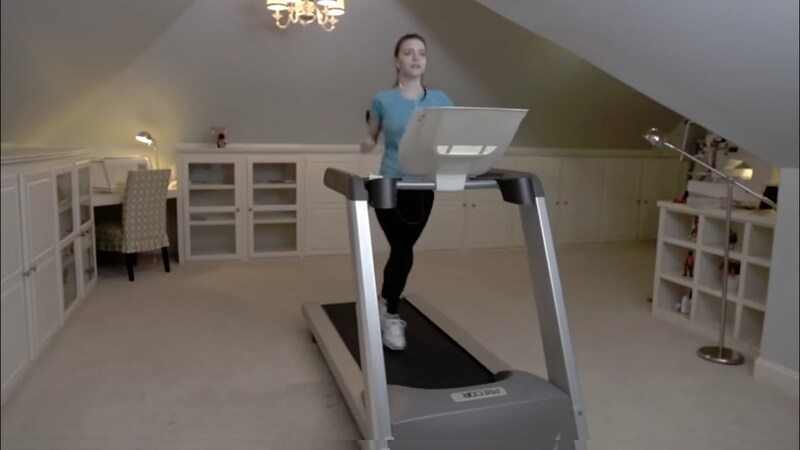 Remember Treadmill Doctor solves problems to keep people moving!